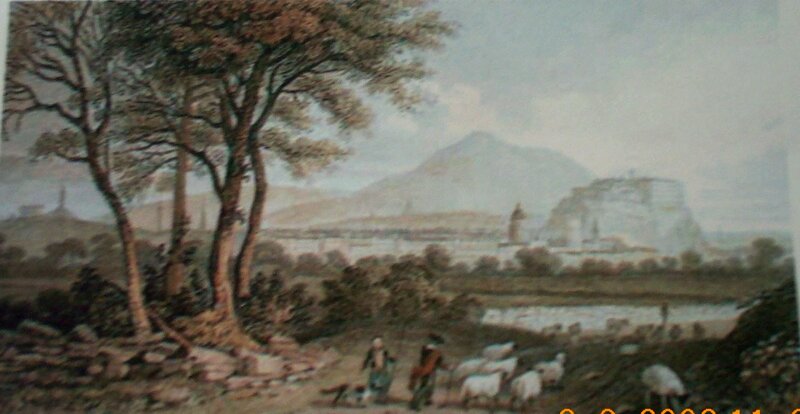 The best engravings/photographs of the quarry can be viewed at Edinphoto. Below are some of the best images that I have managed to source. 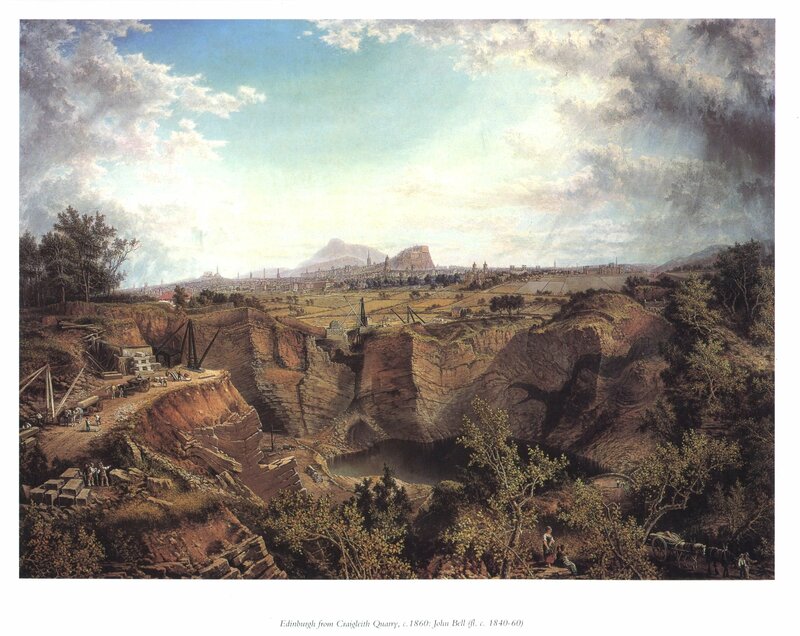 This painting is by John Bell (c. 1860) titled 'Edinburgh from Craigleith Quarry'. Shown here by permission of the Edinburgh City Art Centre. The shop where copies of prints can be obtained is situated at 2 Market Street. The original is hanging in the entrance hall of the City Chambers Edinburgh. Edinburgh from Craigleith Quarry showing Castle and Arthur Seat in the background. Engraving of drawing by Thomas H. Shepherd. Shown here by permission of Richard Nicholson of Chester. The following photographs have been obtained from the Royal Commission on the Ancient and Historical Monuments of Scotland (RCAHMS) John Sinclair House, 16 Bernard Terrace, Edinburgh EH8 9NX. You cannot click on these images as they are protected. Copies of the photographs can be bought from the RCAHMS. 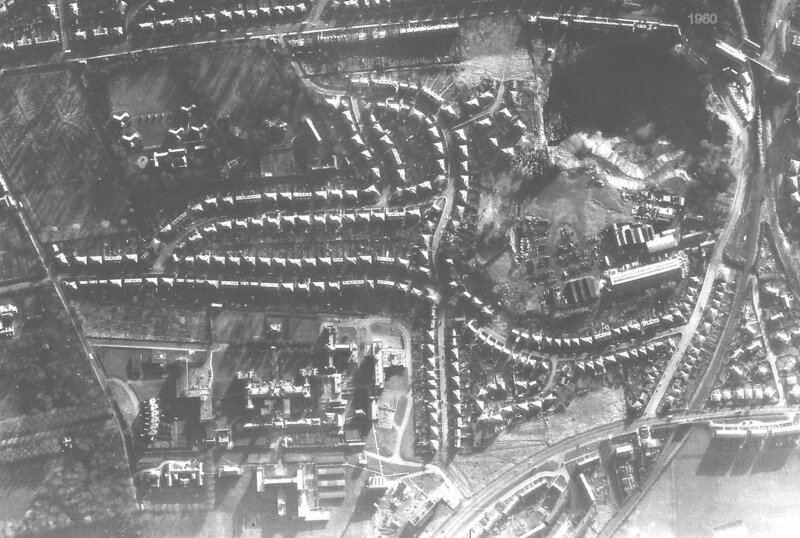 The quality of some of the earlier photographs compared to the later ones demonstrates the increase in both photography and aviation technology. 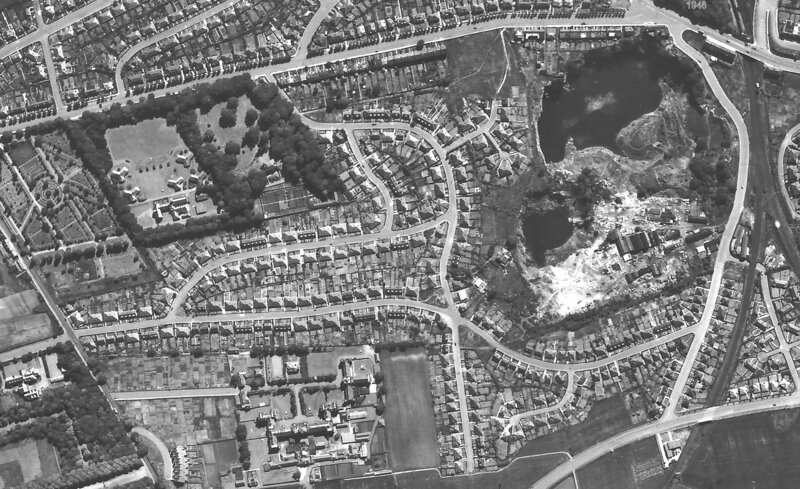 The aerial photograph (above) of Craigleith Quarry shows Groathill Road South (in white) starting at the middle left of the picture and going off to the right where it would eventually meet up with Telford Road. 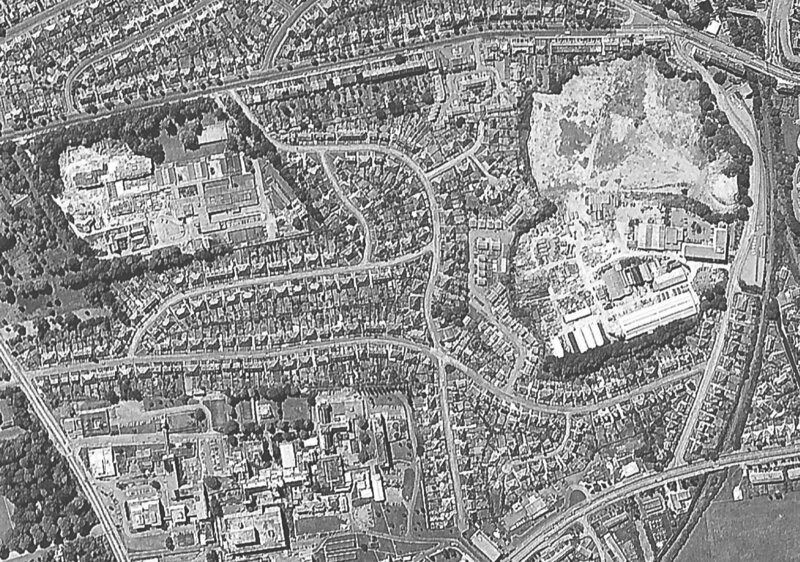 The top end of Craigleith Hill Avenue can be seen joining up with Groathill Road South. 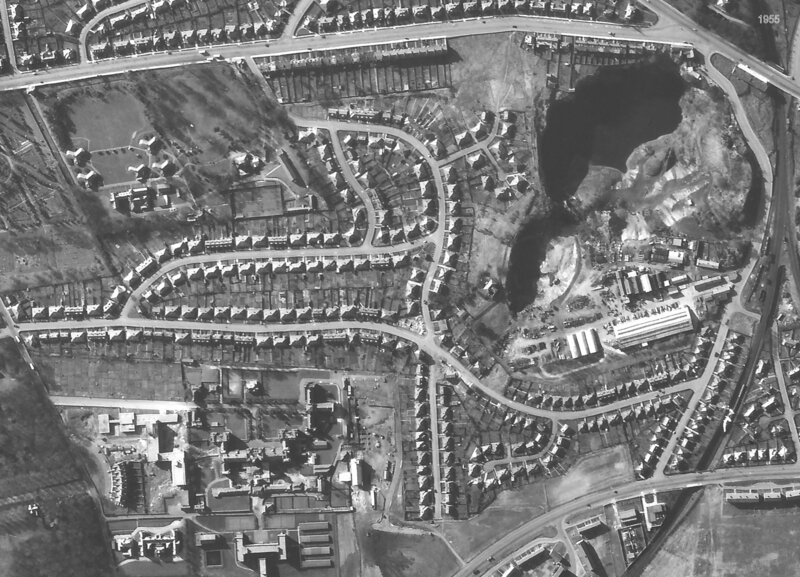 The Blinkbonny houses can be seen as a circle towards the top left of the photo where the Maidencraig quarry was situated. James can remember fishing for minnows and sticklebacks in 'our quarry' (the one on the right of the photograph above) and also remembers a mini rail track for small dumping trucks near to the building marked B in the photograph. He can also remember railway trucks containing bricks and other merchandise on the near South Groathill Avenue. 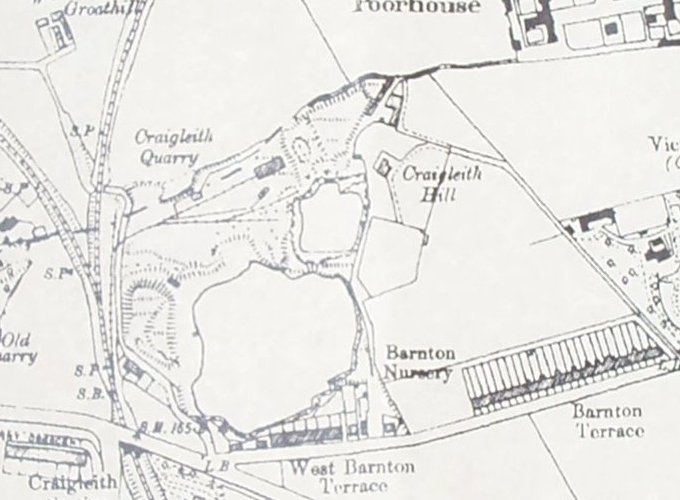 The railway crossed South Groathill Avenue into Millers and in the 50s it was the only ungated road crossing in Edinburgh. 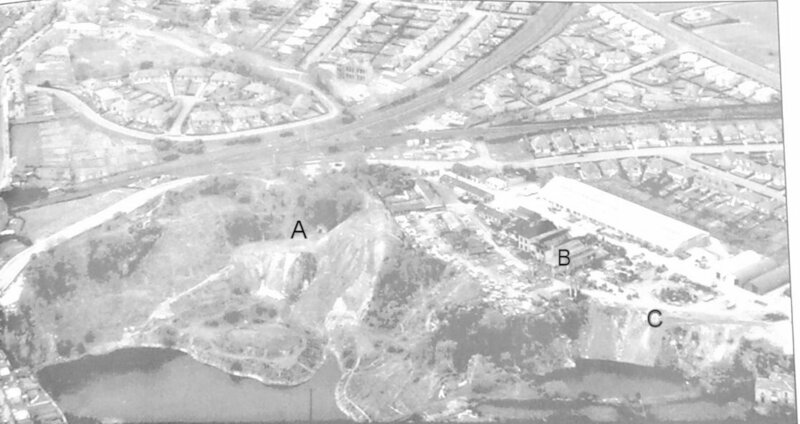 The quarry on the left in the above photograph was owned by the Gas Board and the water was pumped to a pipe which started mid-way up the cliff at (A) on the photograph and then was piped to the coking plant at Granton Gas Works. 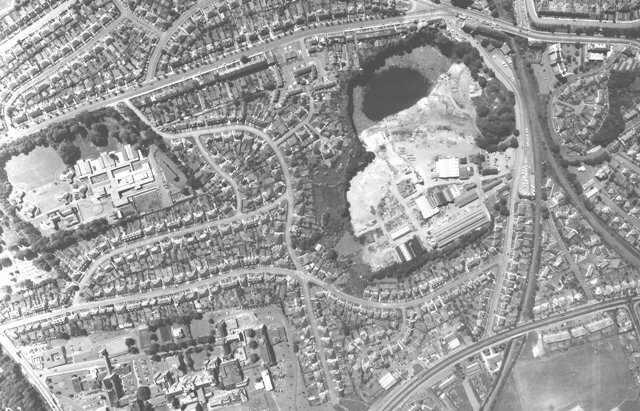 The site to the right of the quarry was used for Millers joinery works, plant depot, and for storage of huts and materials. The long white roofed building was the joinery works built around 1940s early 50s. 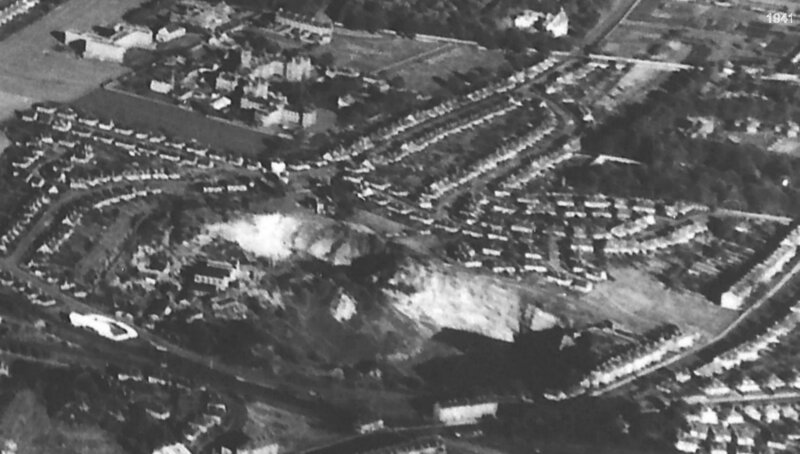 In the early 50 Sir James Miller gave permission to the City Council to use the quarry as a tip for household rubbish. This was not popular with those working there as the smell could be strong but there was a lack of tipping facilities in Edinburgh for household waste at that time. Tipping shows in the bottom right of the above photo (marked C). 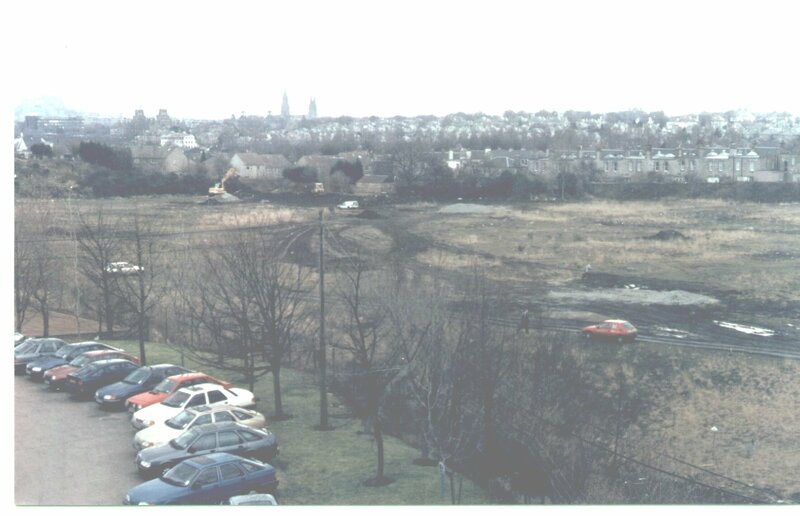 This photograph was taken from the Miller Group Headquarters looking East to the back of the Craigleith Road houses and shows the first surveys being carried out prior to the building of Sainsburys. You can left click on this image to view larger size. (Photo supplied by a member of staff). I have obtained an excellent B&W photograph (1860) of the Quarry face looking towards the castle by George Washington Wilson (http://www.visual-evidence.ac.uk) but because of copyright problems (held by Aberdeen University) I have not been given permission to put it on the web site. However it does again show Ramsay Cottage on its own as well as part of the 'red tiled roofed' house seen in the Bell oil painting.